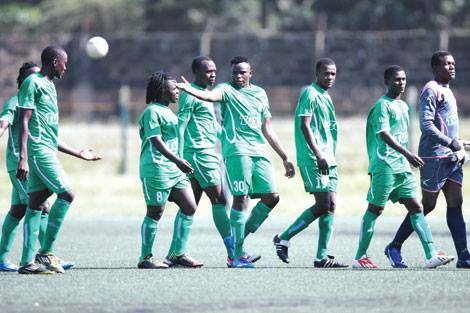 Gor Mahia chairman Ambrose Rachier has indicated that club wil not be able to finalize the list of players by the December 31 deadline mandated by CAF. They will submit a preliminary list of players by the Dec 31 deadline then submit the rest at a later date. “We are finalizing on the list and I can only be sure about our squad by tomorrow (Wednesday) afternoon. We shall then submit the list of the players we are sure of, and some we will leave open for modification before the final deadline mid next month,” he told the Nation. This means they will be forced to pay a $250 (Sh23,000) fee for any alterations made on the provisional list before the final deadline slated for January 15th. “The signing is usually done by the coach and that is why we have not made the new players official. 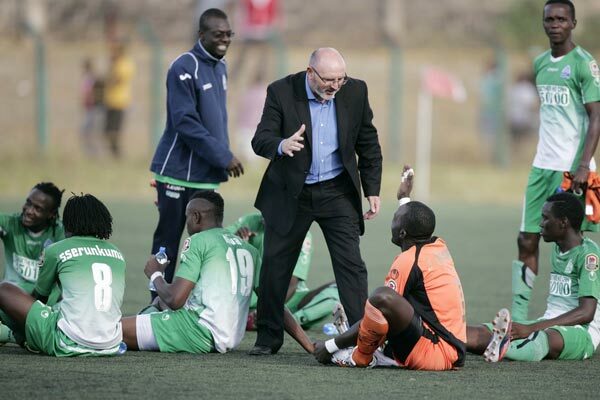 We want to involve the coach in every way and I am trying to process Nuttal’s travelling details so that he can come back as soon as possible and also help with the list for submission to KPL at the end of next month,” he continued. When asked which players have been released, he appeared to contradict CEO Ludovick Aduda by denying that Oboya and Mutiso had been released. The club organizing secretary Ronald Ngala also denied that Mutiso had been released. The club’s Deputy Secretary General Ronald Ngala, also, denied the same only insisting that coach Frank Nuttall wants to review Mutiso’s form before a final decision is made on his future. “We have officially not dropped anyone until January 3. Regarding Mutiso, his contract expires on January 15 and the coach has specifically asked that he looks at him before we make a decision on him. The truth is that Nuttall is yet to see him in action as the player has spent the whole season on the bench,” said Ngala to the Standard. 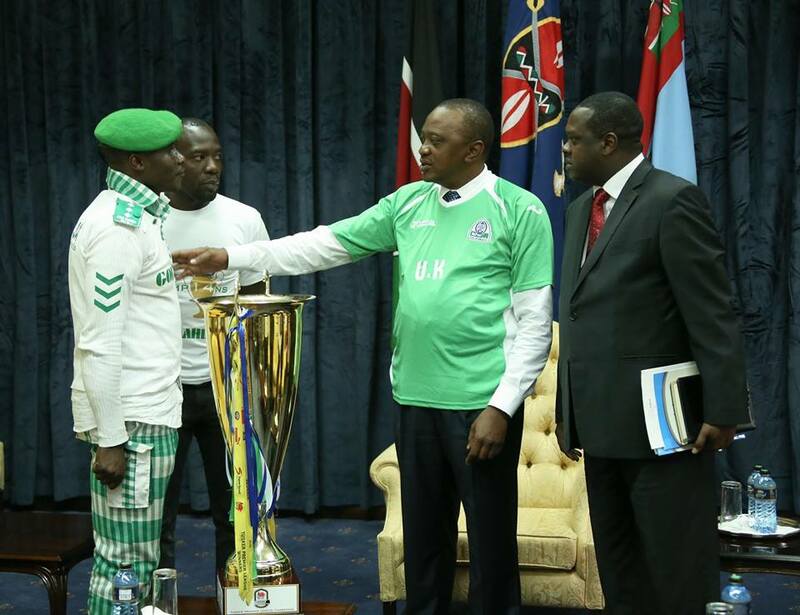 Both Innocent Mutiso and Patrick Oboya have played pivotal roles in enabling Gor Mahia to secure two consecutive league titles. 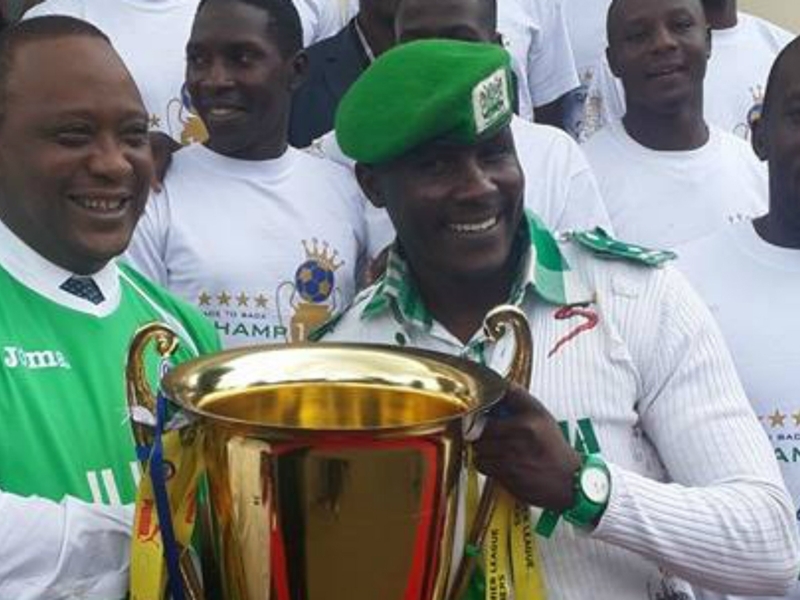 Both have had some memorable moments at Gor Mahia. 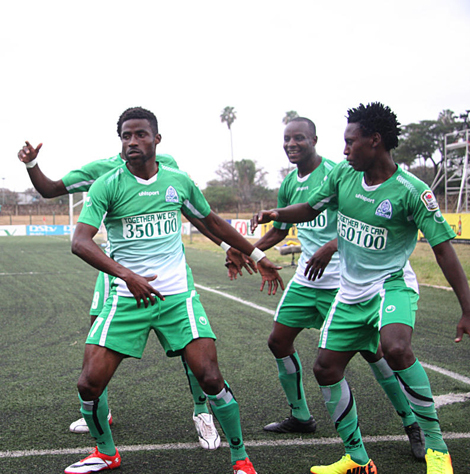 One of the most memorable moments Mutiso had was his wonder goal against KCB that enabled Gor Mahia to secure a 3-2 win. Mutiso when healthy was a live-wire on the right flank and gave defenders nighmares. Against US Bitam earlier this year, he scored one of the penalties during the shootout that saw Gor Mahia through to the next round. 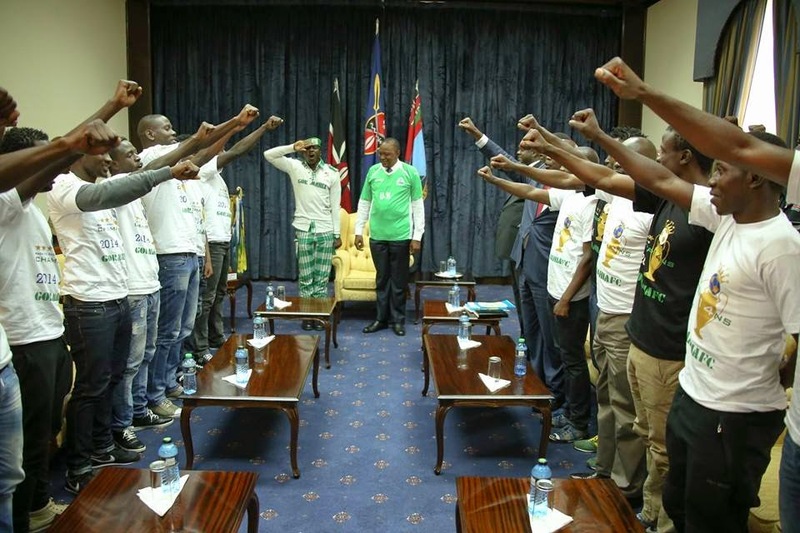 Mutiso has also been excellent for public relations, appearing in club functions as well as initiatives driven by the Gor Mahia fans foundation such as the Mater heart run. 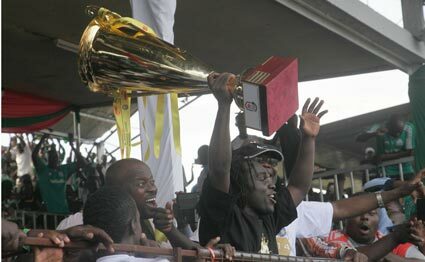 Oboya also had some memorable moments at Gor Mahia. 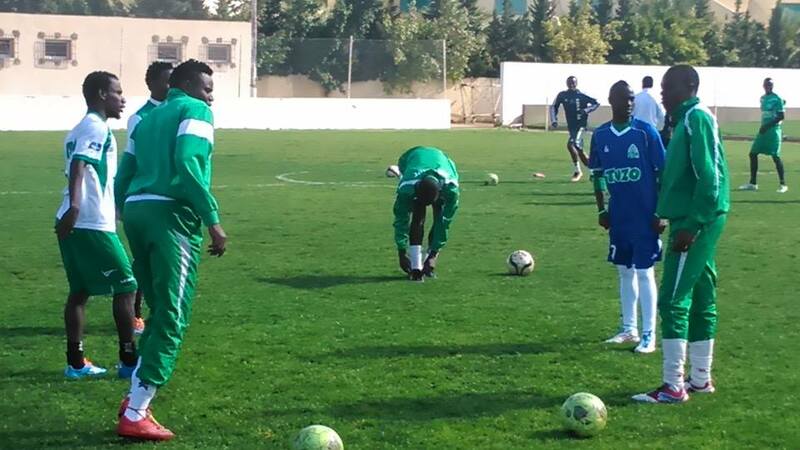 Against Esperance in Tunis, Oboya gave Gor Mahia fans perhaps the only moment they could cheer when his mazy dribbling made that Esperance defender dance “Kanungo” in a manner reminiscent of Ben Oloo “breakdance”. 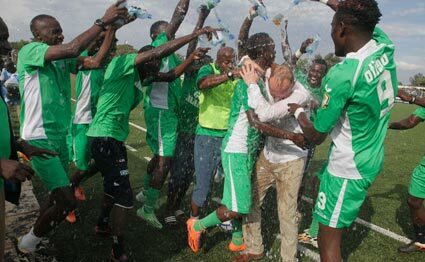 Oboya’s clever flick to Sserunkuma created the crucial goal Kogalo needed to secure their first title in 18 years. 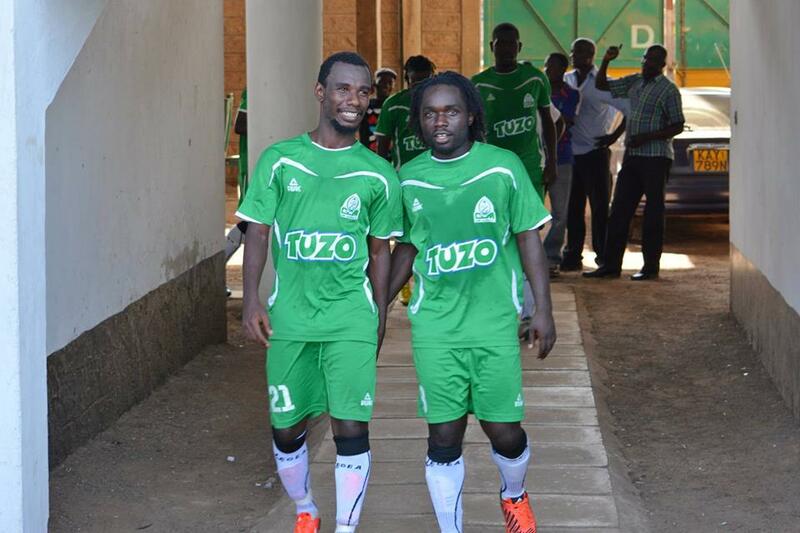 Indeed Gor Mahia has been patient while helping this talented duo recuperate from their nagging injuries. 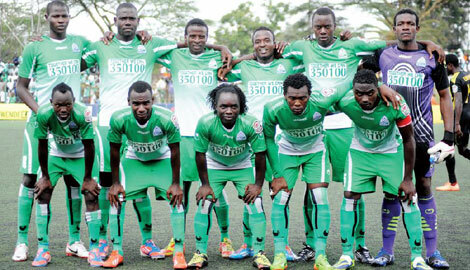 However the financial imperative has forced Gor Mahia’s hand into dropping them. Mutiso posted a thank you note on his social media page and promised to be back stronger. Abondo was a regular first team player in 2012 and 2013 and a favourite of former coach Zdravko Logarusic because of his solid tactical acumen. 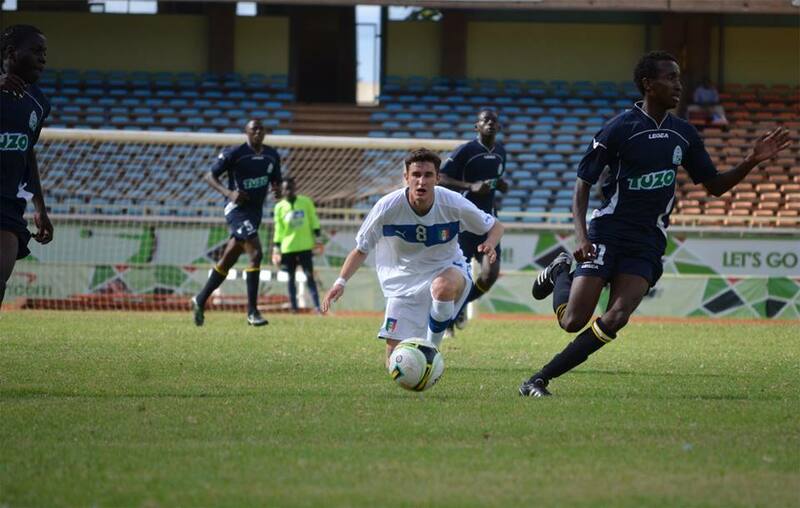 Abondo is also known for his robust tackles, an issue that almost saw him come to fisticuffs with his fellow kisumu lad George Odhiambo earlier this year. He fell out of favour when Logarusic departed with some of the coaching staff accusing him of lack of effort. One hopes that he has improved in that regard. There are 7 players whose contracts have run out and will not be renewed. Club Chief Executive Officer Lordvic Aduda told Supersport.com that the contracts of Patrick Oboya, Innocent Mutiso, Charles Bruno, Kennedy Ayong, Ian Niva, Simon Mburu and Angelo Okumu. 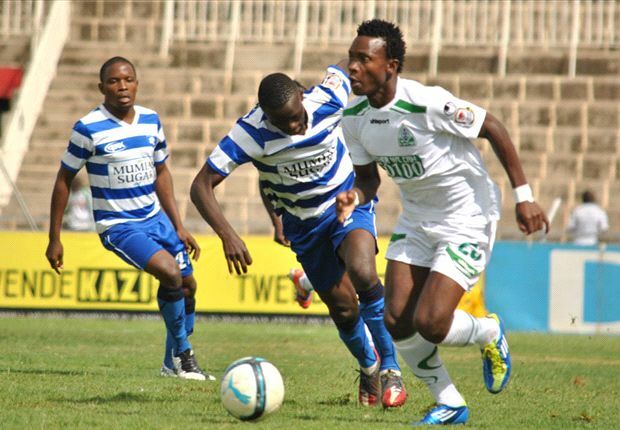 Patrick Oboya joined Gor Mahia in early 2013. He showed flashes of brilliance in 2013 despite injuries. But in 2014, he hardly featured having been plagued by a nagging injury. 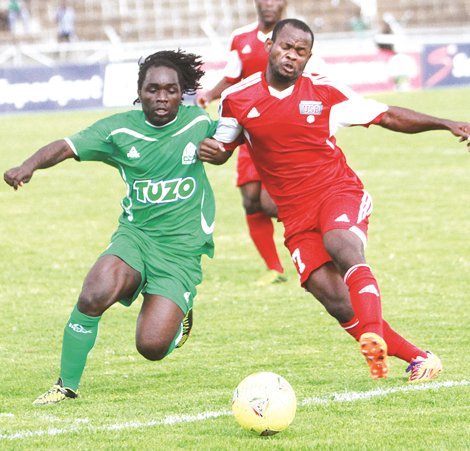 Innocent Mutiso has also played well when fielded but has also missed large swathes of the season with injuries. 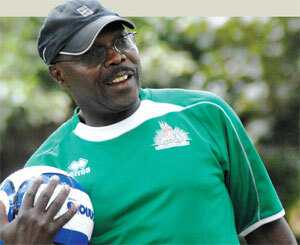 CEO Ludovick Aduda stated that the club is in contact with coach Frank Nuttall. “The coach has told us who to be released, loaned out and who to be retained. He also had areas he wanted beefed up,” said Aduda. 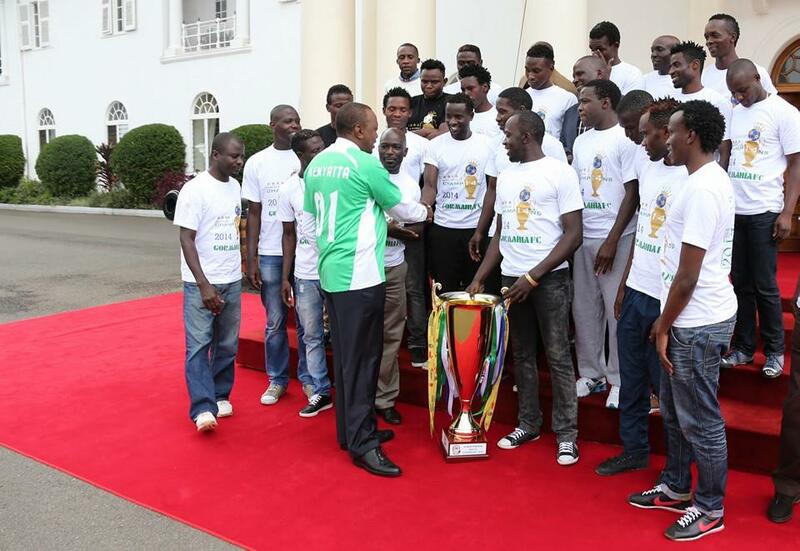 Aduda went on to explain why the players were released. “The players we have released were not adding much value to the team because they were not playing much. Others have shown interest elswhere like Oboya who has been out of the country on trials. 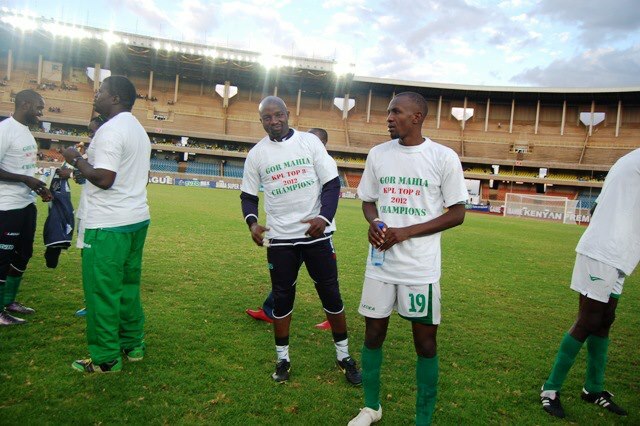 Mburu is wanted by Rangers so we have put so many things in consideration before making the decision,” added Aduda. 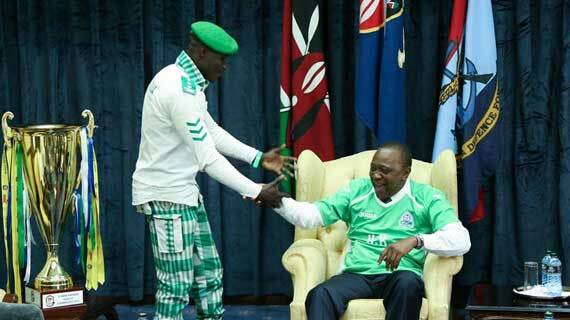 It is also a fact that Gor Mahia is broke and cannot afford to pay players who miss large swathes of the season with injuries. Other players who may add value to the team at a later date will be sent on loan. 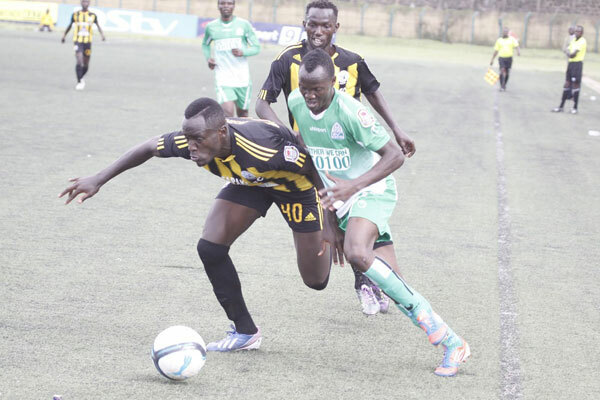 Joel Bataro who joins Shabana, midfielder Daniel Onyango who is headed to Sony Sugar and Joseph kariuki who will be loaned to Kakamega Homeboyz. Bataro is young and promising. But in 2014 he could not even feature when Jerim Onyango was absent as coach Bobby Williamson preferred David Juma. 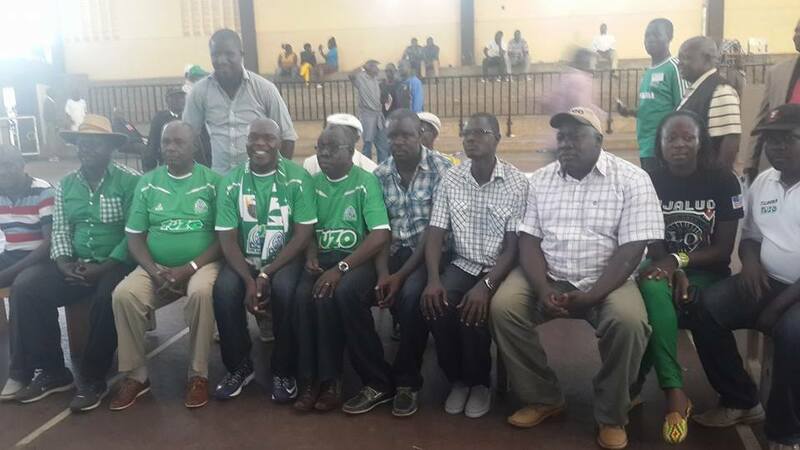 And with Boniface Oluoch signed, Bataro will be further down in the pecking order. 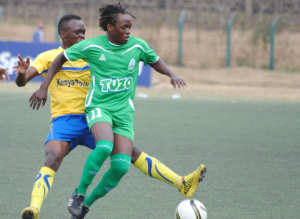 Daniel Onyango and Joseph Kariuki have both shown promise. Charles Bruno played decent when fielded. But with the team signing Dirkir Glay and already having Israel Emuge and Haron Shakava, Bruno would most likely not see playing time. 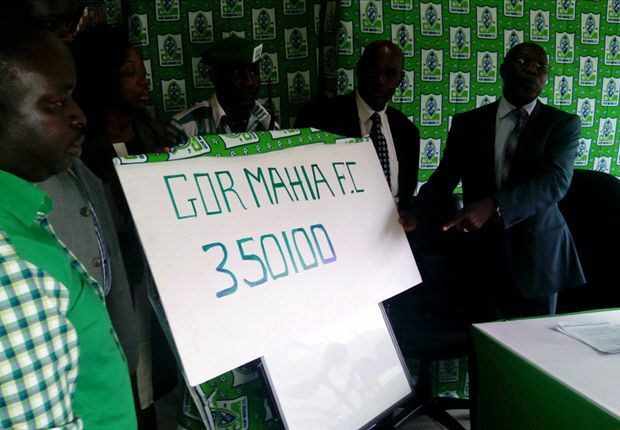 When the sponsorship with Tuzo ended, Gor Mahia started an MPESA initiative to raise funds. 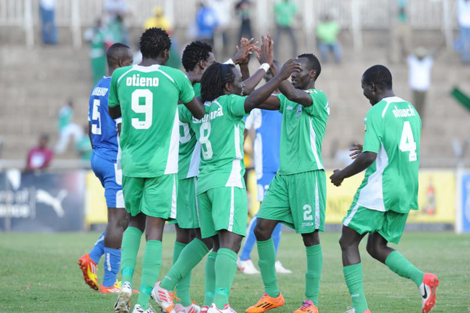 Gor Mahia were shockingly eliminated from the GoTV shield by GFC 105. 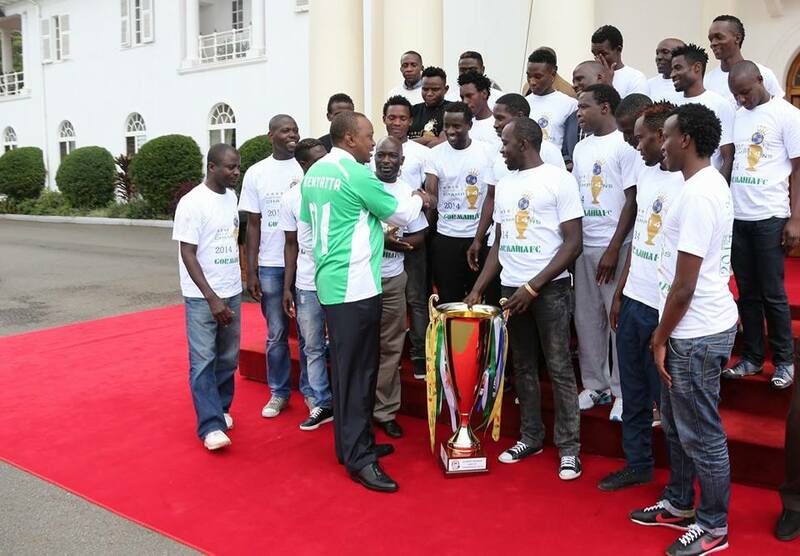 After having won the 2014 Kenya Premier League, Gor Mahia were invited to the State house by President Kenyatta. The visit occured on November 14, 2014. His key promise was to find sponsorship for the club. “Leave it to me” he said. As of Dec 30 2014, fans are still waiting with bated breath. Given that Gor Mahia already have a good goalkeeper in Jerim Onyango and a capable backup in David Juma and Joel Bataro, this signing does not seem to make sense given that Gor Mahia badly need help in other departments especially midfield and attack. Goalkeeping does not seem to be the problem. One would think that bringing Kevin Omondi back into the fold would have been a higher priority. According to goal, another signing revealed by Aduda is Ghanian striker Zachariah Taofiq who has penned a two year deal. Others are Martin Waruinge who was formerly with Talanta who has signed a four year deal and Timothy Otieno who has extended his stay at the club for another two years. Little is known about Taofiq and since he has signed a two year deal, one can only hope he is not another Felixinho. Aduda also told goal that the team is bringing into the fold Thika United Liberian defender Dirkir Clay who will join them as from February 1 once his contract expires on January 28. 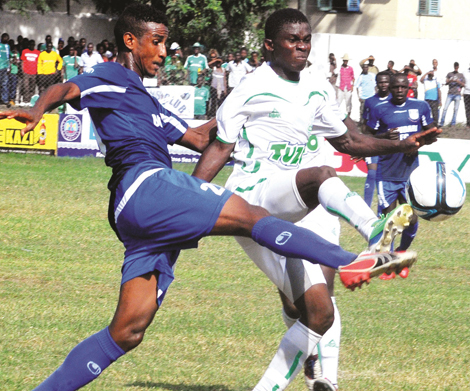 “He has agreed to a two year deal,” revealed Aduda. 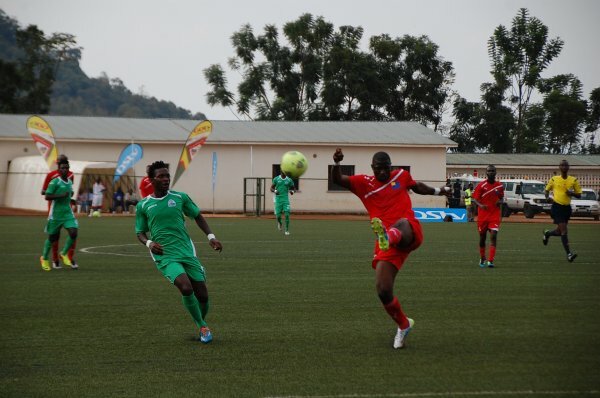 Other targets are Faroque Sentogo from Uganda, Khalid Aucho formerly at Tusker, Ronnie Owino from Muhoroni Youth and Bidco United’s Ernest Wendo. 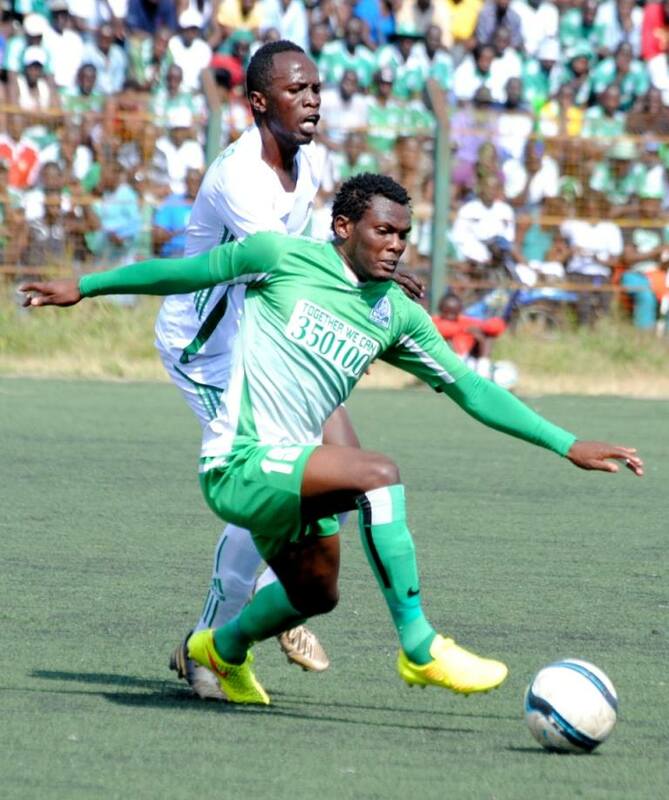 Defender and Vice Captain David Owino “Calabar” has been offered a new deal. According to a report in the Daily Nation, the deal is for two years and should keep him at the club until 2017. 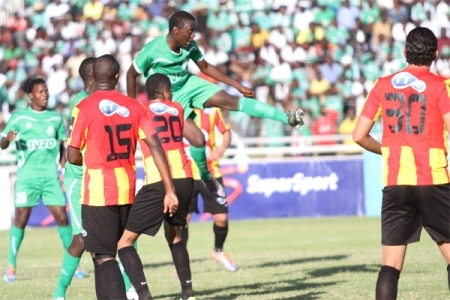 Calabar’s contract is due to expire in June of next year. 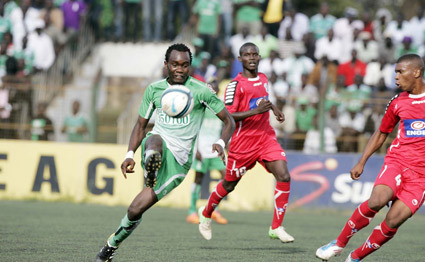 The report in the Daily Nation says that Calabar who is the two-time KPL defender of the year met club chairman Ambrose Rachier last week in a closed-door meeting where a new deal was offered to him and he reportedly agreed in principle to put pen to paper after the Christmas period.The meeting took place shortly after the club’s National Executive had held a routine in-house meeting. The contract would double his salary to Ksh 160,000 per month. This is a spot higher than Geoffrey Walusimbi who is at Ksh 150,000 per month. Jerim Onyango is at Ksh 75,000. 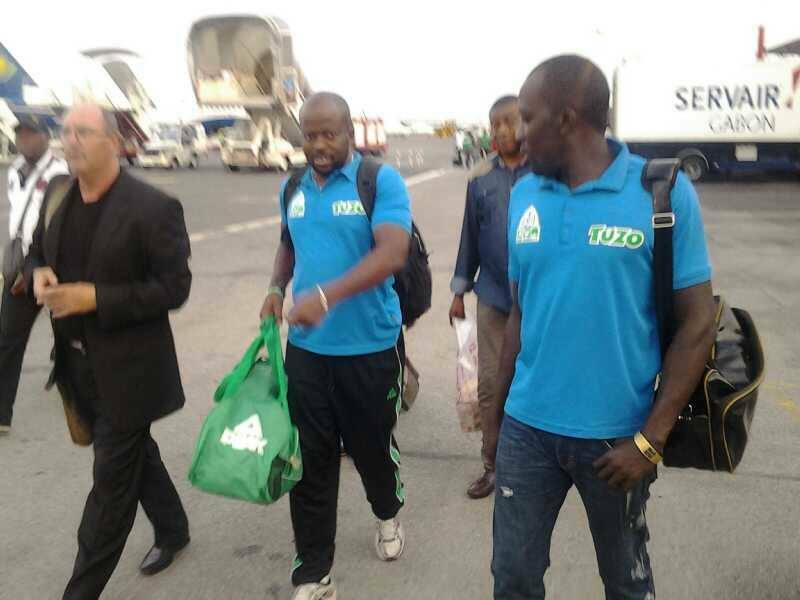 Owino calabar has previously been linked with various overseas moves most notably to Simba. 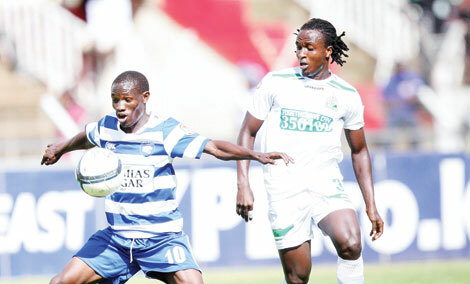 Striker Timothy Otieno who joined Gor Mahia on a 6 month contract in June, has renewed his contract. 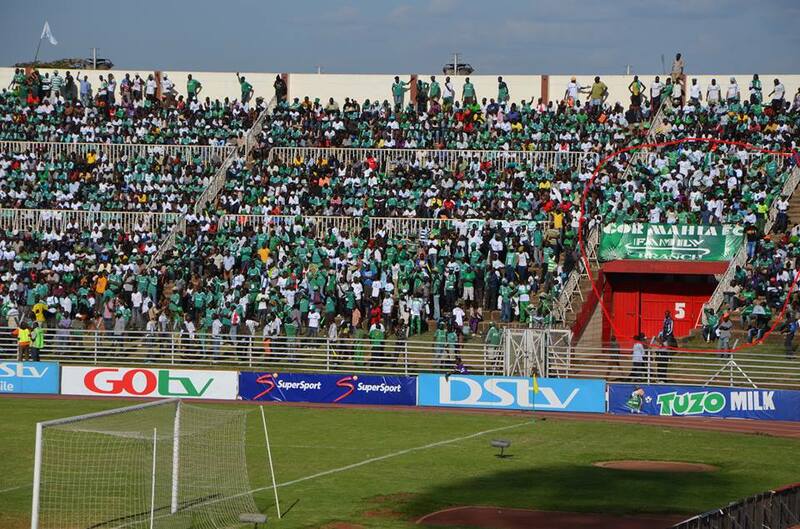 This is one of the few positive news that Kogalo fans have received since November. 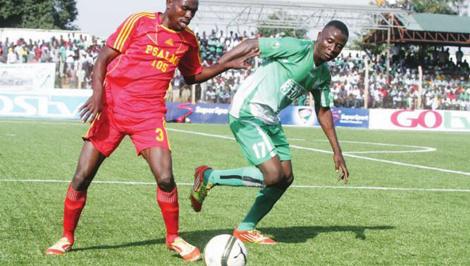 Gor Mahia are said to have agreed to terms with defensive midfielder Khalid Aucho. However the deal depends on whether Aucho succeeds when he attends trials in Europe in two weeks time. 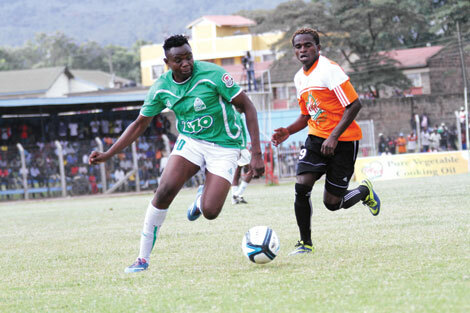 Aucho is said to have been approached by Sofapaka and AFC leopards. 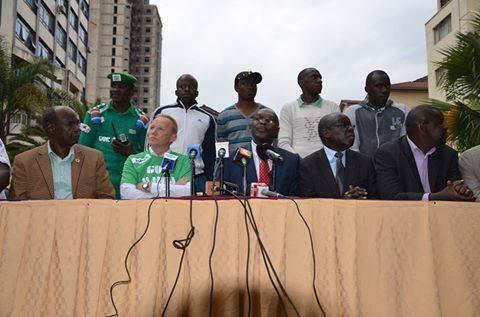 However his agent seems to have settled on Kogalo. 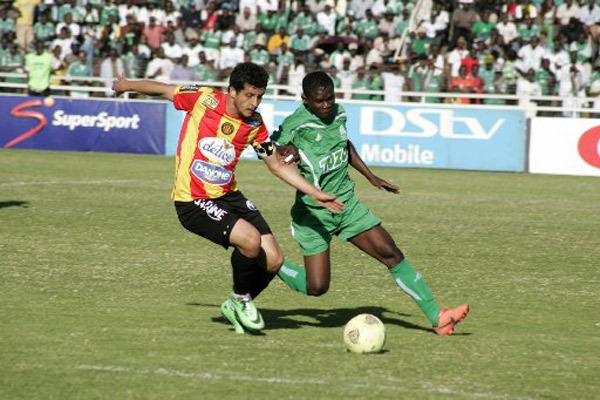 Several teams are said to be pursuing Michael Olunga. 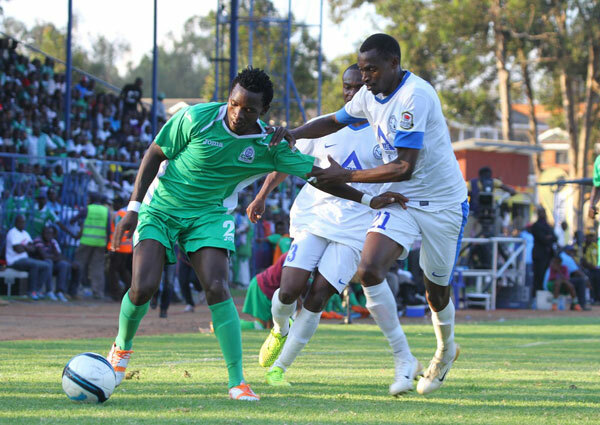 The lanky striker was among the leading scorers in the 2014 league while playing for Thika United. Team manager Jolawi Obondo identified the three on Sunday during a tournament organised by Uriri Member of Parliament John Kobado. 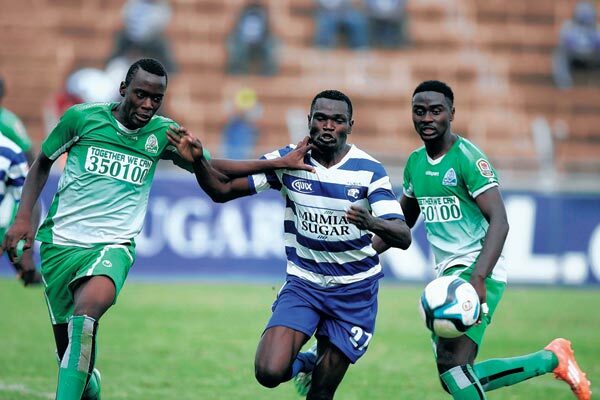 Obondo said he consulted with the Gor Mahia deputy secretary general Ronald Ng’ala during the function and said they had identified the three for trials. 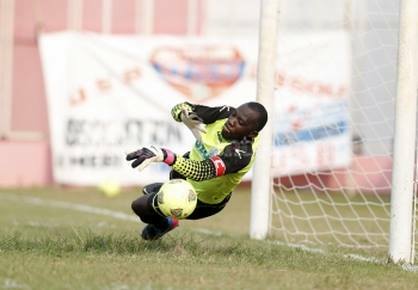 The three are goalkeeper Steve Otieno, Jacob Okinyi and Gordon Matoka. 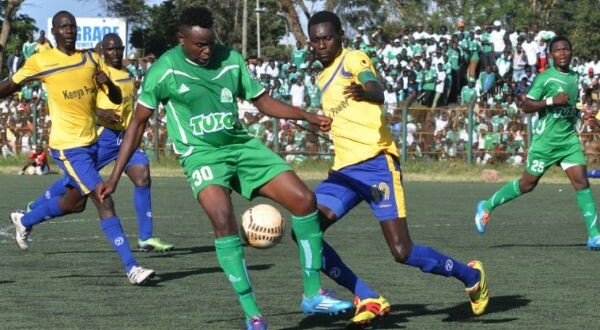 Obondo also said Gor Mahia will play Uriri Combined before January at Uriri Secondary School as part of their build-up for the next season. “We will also use the match to scout for more talent,” he noted. Ng’ala exuded confidence that the club will still challenge for the KPL title next season even after the exit of Dan Sserunkuma and Geoffrey Kizito. 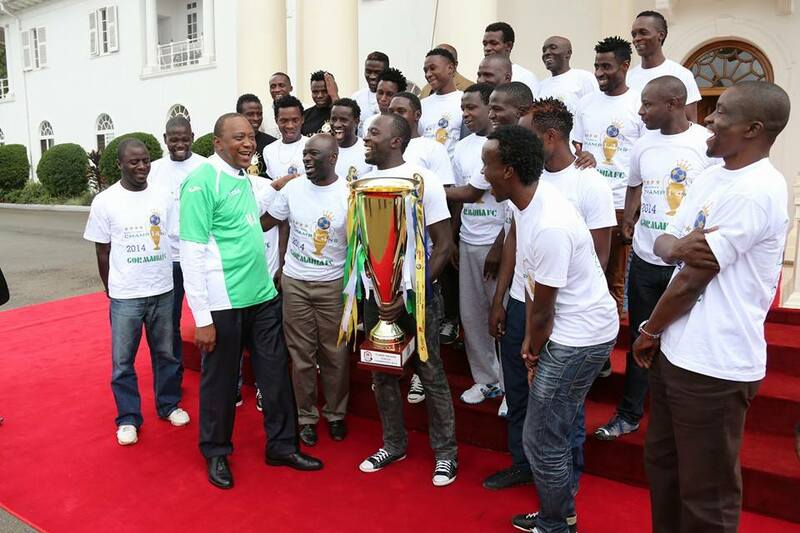 He said they are also negotiating with sponsors who will help them attract and retain top players. Kobado said the aim of the tournament during festive season is to engage youths in a bid to keep them off criminal activities. A report in the Nation Sport indicates that the bulk of the playing unit have not been paid November salaries compounding the situation. A top club official talking to Nation on condition of anonymity said that only a few of the players have had their November salaries settled “as they had threatened to walk out on the club”. According to our source, those that have been paid are forwards George ‘Blackberry’ Odhiambo, Timothy Otieno and midfield anchor-man Collins ‘Gattuso’ Okoth. Treasurer Kennedy Otieno confirmed that they owe the playing unit November salaries and winning bonuses accrued from three matches in the ended season. “Things are tough but we are managing. There are funds we are waiting for and the players should have their pay by Wednesday afternoon latest,” he said. 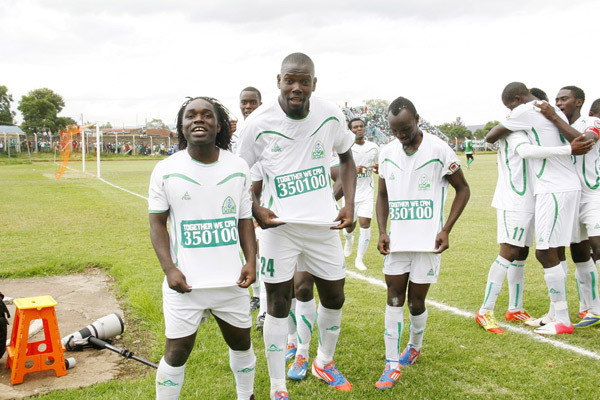 Gor’s monthly wage bill stands at Sh2.2million and with lack of a sponsor, they have struggled to meet their end of the contractual obligations. 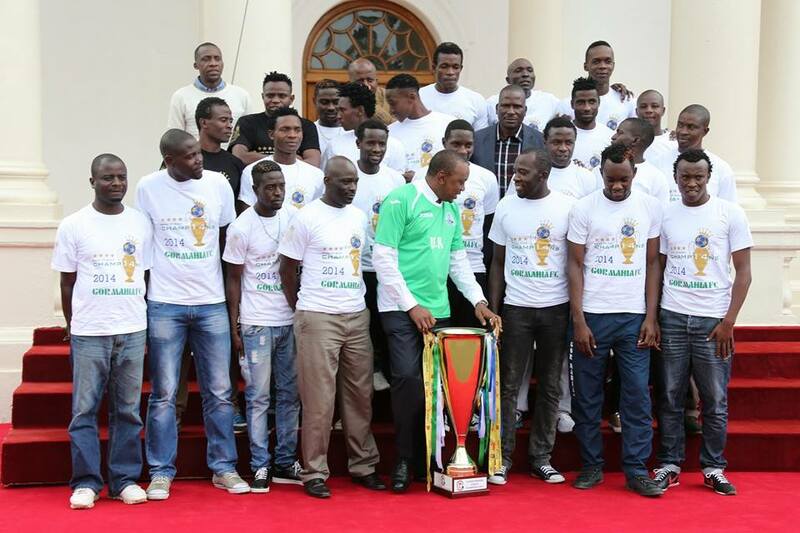 The club has also not settled the winning bonuses owed to its junior side – the under 19 squad – with each player owed up to Sh24,000.The ‘Invincible’ junior side went an entire season without losing a match in the Nairobi County League. CNAPs which stands for Caisse Nationale de Prévoyance Sociale Madagascar is the team sponsored by the national sociel welfare organization of Madagascar. 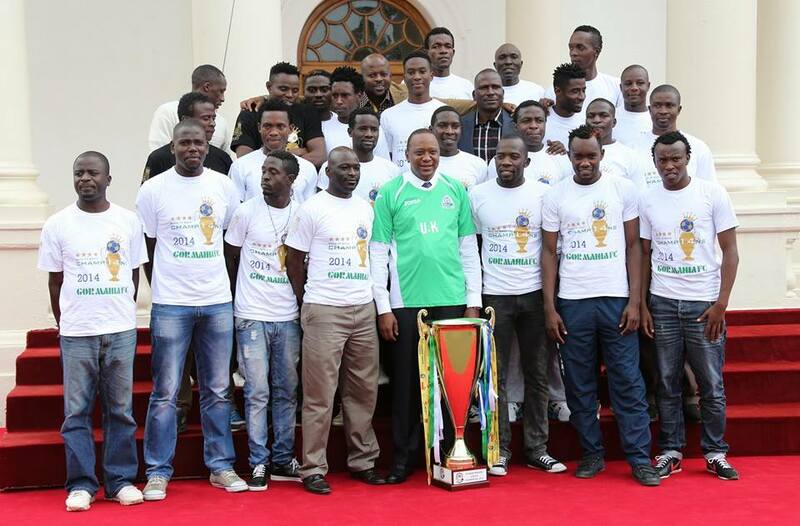 Like Gor Mahia, they have won the national league two times in a row (2013 and 2014). They also won the league in 2010 making a total of 3 league wins. They won the Madagascar cup only once in 2011 and the Supercup once (2011). The club does not have much of a history. In Madagascar, the turnover of teams is very high and teams last for only about 5-10 years. 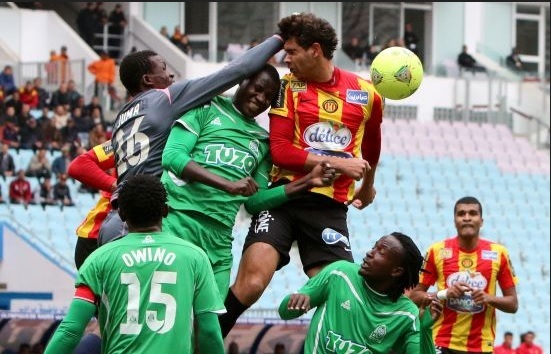 In 2014, they were eliminated in the preliminary round of the Africa champions league after losing 0-1 to Liga Muculmana of Mozambique. They are based in Mianarivo which is 100 km from the capital Antananarivo. 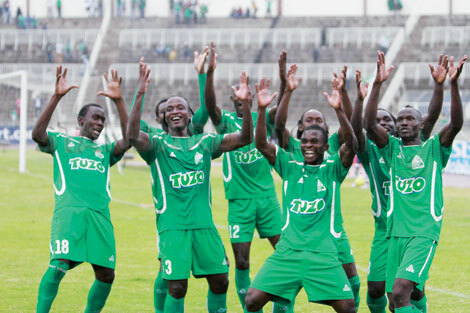 On another note, now that the draw has been made, should Gor Mahia pull out of the competition, in addition to a hefty fine, they face a 3 year ban from CAF related activities.